Down 2.3 pounds and about where I was in April. So, I wasted two months worth of weight loss but that’s ok. Keep on keepin’ on! 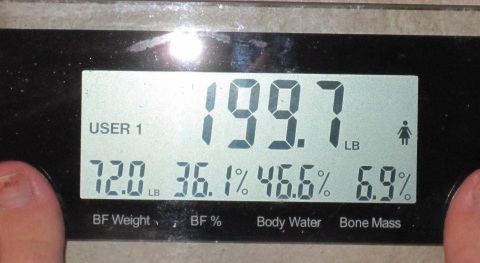 This entry was posted in weigh in and tagged weigh in on June 28, 2011 by Tammy.